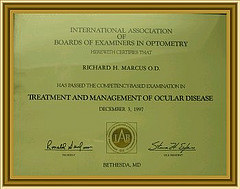 Our Practice - Richard H. Marcus Optometry - ALAMEDA EYECARE OPTOMETRY RICHARD H. MARCUS O.D. 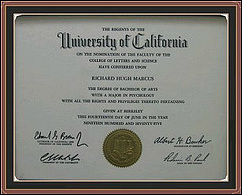 Dr. Richard Marcus received his bachelors degree and doctorate in optometry from the University of California, Berkeley. After practicing optometry at various Bay Area offices, he established his own optometry office in Alameda in 1981. He gives every patient the special attention they deserve. 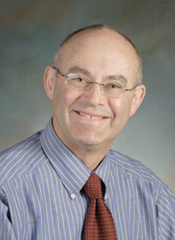 Dr. Marcus enjoys working with young children, adults and elders alike. Dr. Marcus has completed the Therapeutic and Ocular Disease Course and is therapeutically licensed in California. He has also completed the glaucoma certification course at U.C. Berkeley and can co-manage glaucoma patients. Dr. Marcus is an avid philanthropist and teacher and enjoys serving the Alameda community. He is a member of the The Rotary Club of Alameda and is on the Board of Directors of Alameda Family Services. He has volunteered numerous hours working with Head Start in Alameda. In addition, Dr. Marcus teaches in the Alameda public and private schools, helping children learn about the eye and its functions. Dr. Marcus currently resides in Alameda with his wife and two children. He enjoys cooking, reading, playing piano, gardening, and hiking.